Ideal for surfers in progression, The Tablet was designed to make everything simple and fun in summer type waves. We kept a wider outline all the way from the nose to the tail to provide easier paddling and control. The single concave to V off the tail combined with mid/full rails you help you go fast down the line, and still make some nice smooth turns allong the way. 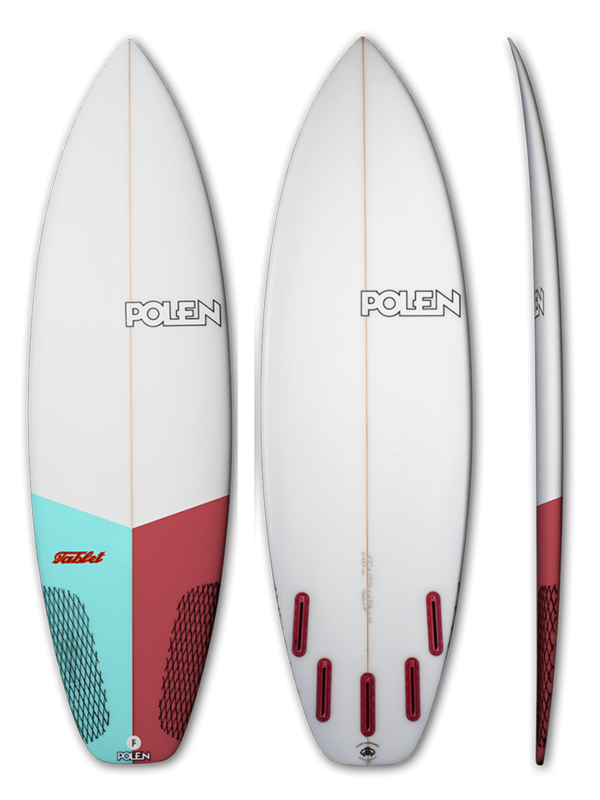 The wider tail keeps the board floating even in weaker sections or mushy waves. Surfing with more area and volume will get you scoring more waves than others around you for sure. Ride it has a tri-quad set up to get different feelings in the same board.